John (Jack) Joseph Schaeffer, aged 93 years of Moose Jaw, SK passed away on Monday, August 6th, 2018. 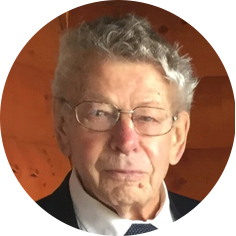 Jack was an Engineer and Saskatchewan Land Surveyor who owned and operated General Surveys Ltd. in Moose Jaw for 50 years. Jack will be missed by his wife of 57 years, Shirley; daughter, Mary Ann (Chris); sons: Brad (Jackie), Ted (Tara), and Vince; grandchildren: Talissa, Kaegan, Saige, Sadie, and Emma; and great-grandson, Lowen. The family would like to thank the staff of the Dr. F.H. Wigmore regional Hospital in Moose Jaw for their care and support. A Come and Go Celebration of Jack’s Life will be held on Saturday, August 18th, 2018 at 2:00 p.m. at the Army, Navy & Air Force Veterans Club, 279 High St W, Moose Jaw, SK.